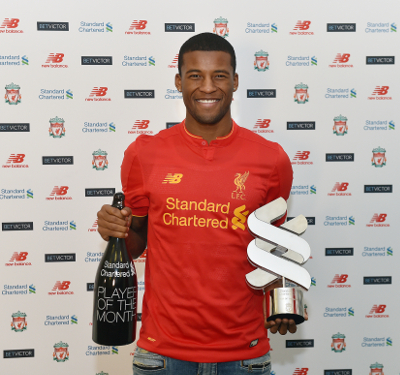 Georginio Wijnaldum was today named as Liverpool’s Standard Chartered Player of the Month for January after winning the fans’ vote in a poll on this website. The Netherlands midfielder clinched 22 per cent of the total to claim the accolade for the first time. In doing so, he beat Simon Mignolet (18 per cent) and Trent Alexander-Arnold (13 per cent) to the trophy. In what proved a frustrating month for the Reds on the pitch, Wijnaldum made seven appearances during January, six of which were starts. He scored one goal, which proved to be a crucial one as he headed home the equaliser against Chelsea in the 1-1 draw at Anfield on January 31. 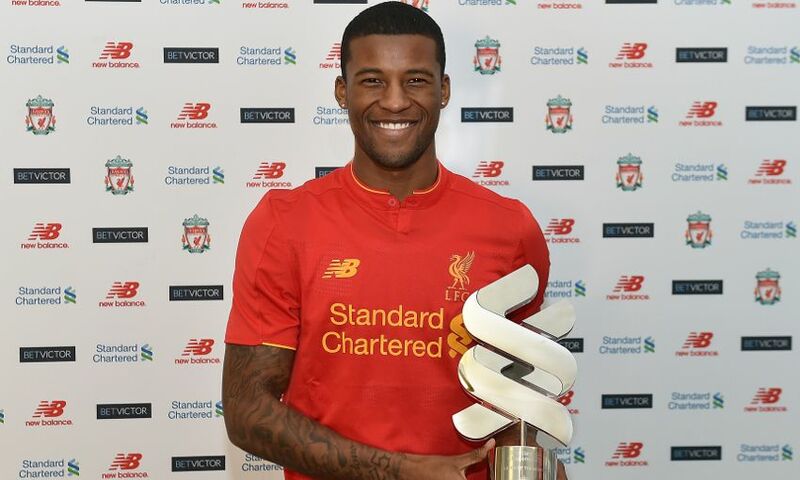 Upon being presented with the prize at Melwood, Wijnaldum told Liverpoolfc.com: "It means a lot to me, of course. It’s always good for a player if you can win this kind of thing because you feel the fans like you and gives you a good feeling when they vote for you. "This will give me a boost to do even better than my best, to win more of these awards, but the most important thing is the team start winning games again and try to play football how we did before." That leveller against league leaders Chelsea was undoutably one of the month's overall highlights, and Wijnaldum is pleased to have provided it. "It’s always beautiful and a good, happy moment if you can score goals against big opponents," he reflected. "It was an important goal because we were 1-0 behind, so my header was the equaliser and helped the team get a draw. "So it always gives you a good feeling if you can score goals against big opponents, especially when it’s an important goal – and this was one."